View our schedule below! Click on a show’s name for more information. Click the button to the right for ticket prices and how to purchase! Step Right up to the Colossal big top with individual bucket seats for all to enjoy. An all-new 1960s All You Need is Love ... under the Big Top themed circus with acrobats, elephants, clowns, and juggling. Make today a circus day and share the excitement, joy, and happiness with your family. A full day of live entertainment is included with your admission from May 17 – September 1, 2019. Tiger Adventures with majestic Royal Bengal tigers. 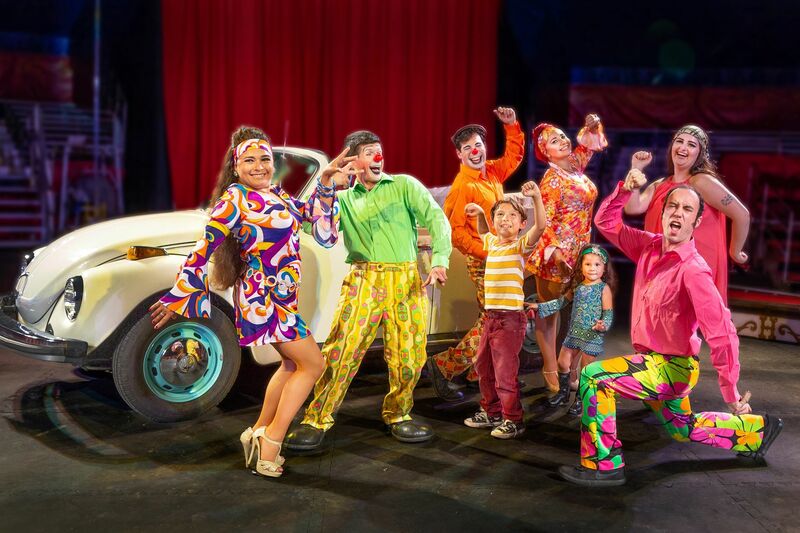 Engaging kids' programs, comedy and music shows, guided tours of the world's largest circus wagon collection, plus carousel, wagon, and animal rides, original Ringling Bros. Circus buildings, demonstrations, and fascinating new exhibits create a day your family will always remember. Enjoy tasty sandwiches, burgers, brats and more at the Cookhouse Grill, ice cold drinks, plus cotton candy candy, ice cream and other circus treats. Shop at our main gift shop. There's free parking with convenient drop-off areas. All of this comes at one low price, which includes all shows and exhibits.